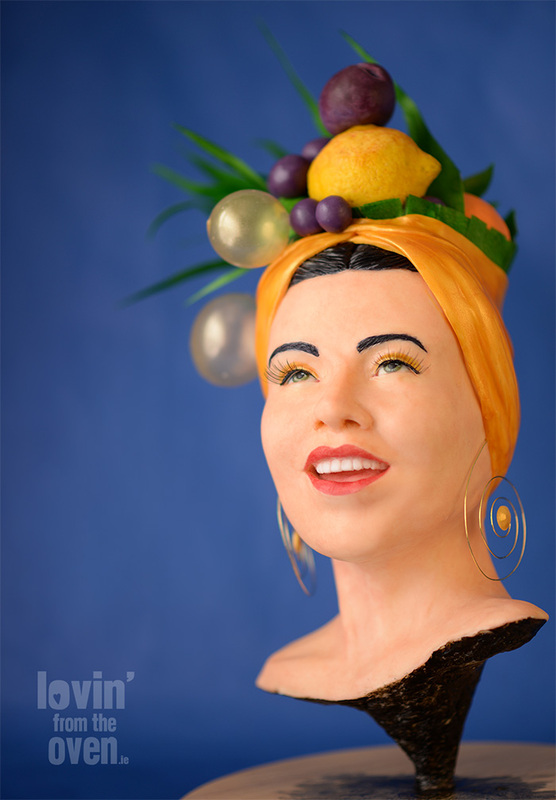 A tribute to the Brazilian Bombshell herself, Carmen Miranda. This is an intense 2 day class which covers facial modelling (of course), painting modelling chocolate, creating realistic fruit and open mouth modelling. We'll also teach techniques such as how to create gelatine balloons, some wire work and using wafer paper. This class is designed for the intermediate to advanced cake decorators. Learn loads of techniques like structure, modelling facial features, including the eyes, teeth and mouth. Not to mention modelling realistic fruit, working with wafer paper, modelling chocolate and even some gelatine bubbles! 4 nights accommodation in quaint local cottages. Meals included. Sharp edges, design artwork, transferring artwork, royal icing piping, stencilling, layering details and a statement flower. 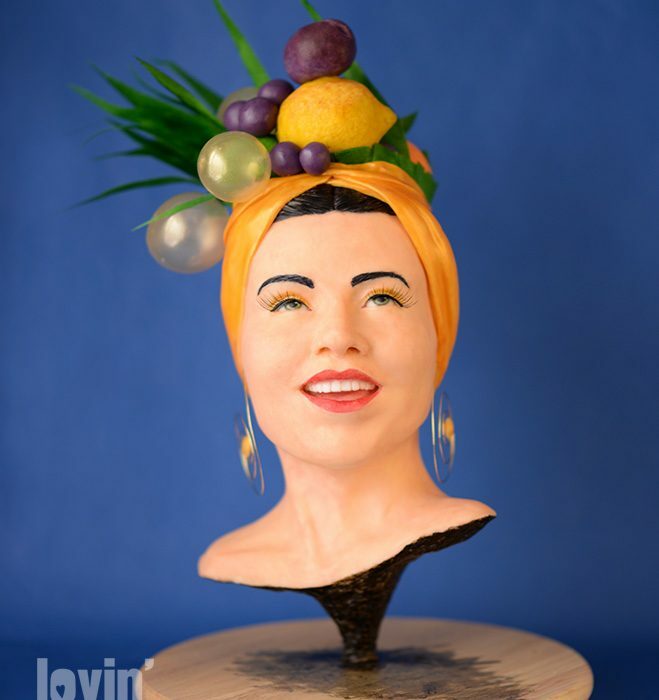 Corinna Maguire from Lovin' from the Oven - 2 day sculpted bust cake.